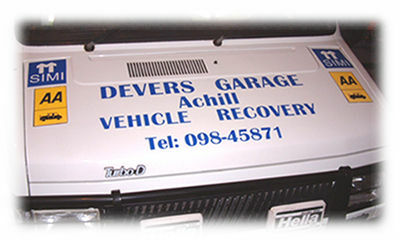 Achill Signs can provide signs and graphics for all types of vehicles, including cars, vans, trucks, lorries, trailers, boats and motorbikes. 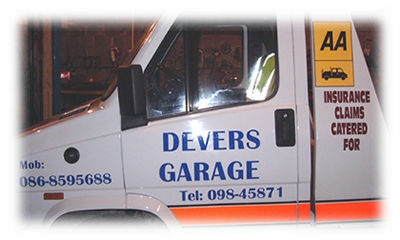 Using hard-wearing vinyl as backing material, vehicle graphics can be supplied for self-application by the customer or Achill Signs can undertake the application of your fleet graphics. Whether you have a single car or a fleet of trucks, your vehicles are mobile advertising space. Printing your business name, logo and contact details onto your vehicle ensures they are seen by thousands of potential customers every time your vehicle is on the road. Vinyl signs created by digital printing offer a versatile, cost-effective and high quality alternative to traditional hand-painted signs - contact Achill Signs today to find out how we can help promote your business.